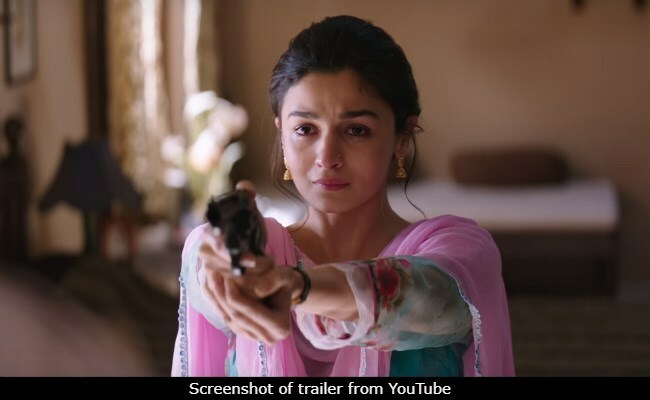 Bollywood leading ladies like #SonamKapoor, #BhumiPednekar, #YamiGautam and actors like #AnilKapoor, #ShahidKapoor took to social media to praise #AliaBhatt's performance in #Raazi trailer. Sonam quoted Alia's tweet and wrote, "Such a fiery but quiet strength! Love it!" Yami Gautam who will be next seen in 'Batti Gul Meter Chalu' said, Alia's role in the film Raazi is to die for. "Roles to die for !! @meghnagulzar has weaved her magic with @aliaa08 and @vickykaushal09 and team Raazi !! All the best @JungleePictures and @DharmaMovies , winner at hand !! #RaaziTrailer"
'Raazi' Co-produced by Dharma Production with Junglee Pictures is directed by Meghna Gulzar. The film starring Alia Bhatt, and Vicky Kaushal in lead roles is scheduled to release on 11th May.